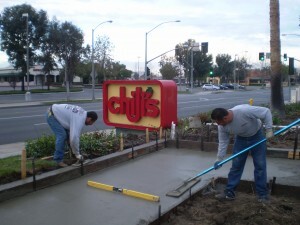 Sidewalk Repair – Concrete Contractors, Concrete Construction, Concrete Paving | Bernardo Concrete Inc.
At the local Chili’s in Lakewood, California, we proceeded to pour a concrete sidewalk in the early am hours of the morning. Our dedication to each job is reflected in our work and the quality of our business and our clients. Sidewalk repair takes a couple step before the product is finished. 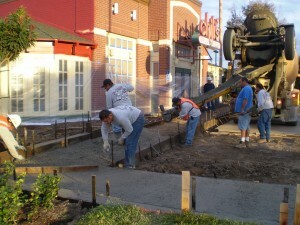 First, Bernardo Concrete pours the sidewalk, then rod into a smoother finish. Once we finish pouring, we float after rodding and check the elevation using a smart level. Once this process is done, we proceed to fresno, edge and broom the concrete into a fine finish. 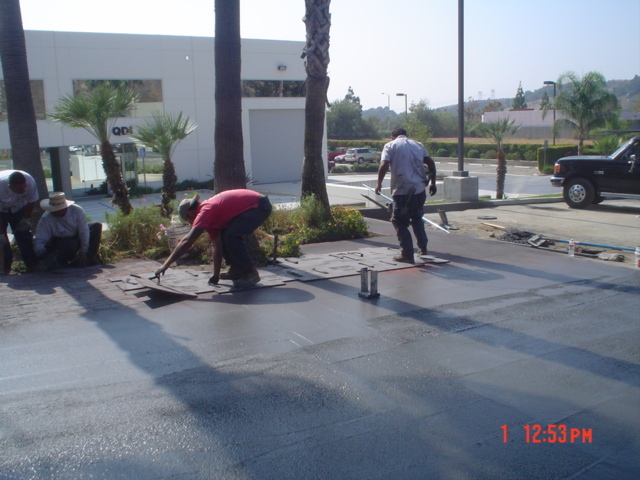 Our profession at Bernardo Concrete requires more than just dedication to our work, but also safety and precaution. It’s mandatory for our men to be in uniform, wear steel toe boots at each job location, and to caution off each section of each job site for the public safety and ours, too. Bernardo Concrete are experts when it comes down to any type of concrete removal and repair and this Concrete sidewalk Repair Project is just one example. Thank you for visiting our site and we at Bernardo Concrete would love the opportunity to do business with you!